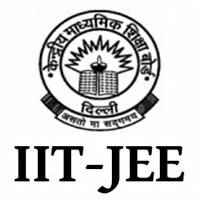 JEE Main 2019 application process started on 01st Sep 2018. Previously known as AIEEE (All India Engineering Entrance Examination), Joint Entrance Examination (JEE) Main is a popular engineering entrance test conducted by NTA (National Testing Agency) for admission to UG programmes in 31 NITs and 23 IIITs in India. As per the recent updates, the Agency will organise the JEE Main exam twice in a year (in January and April) from the academic year 2019. The NTA JEE Main 2019 January session exam will be held between 6th and 20th January, for which the online application can be submitted in September 2018. JEE MAIN 2019 Latest Updates: Interested candidates can access the JEE MAIN 2019 online application form for the January edition exam from September 1 till September 30, 2018. They can avail the application form at the official website of the National Testing Agency. For the April session, they can submit the application form from the 2nd week of February 2019. Since NTA will regulate the Joint Entrance Examination MAIN from 2019 onwards, MHRD has brought in some noticeable changes in the exam pattern of JEE MAIN 2019. From the year 2019, the engineering entrance test would be computer-based or CBT. While aspirants can take the exam twice in a year, NTA would select only one scorecard that has the highest marks scored for admission to various UG programmes. The exam will be held at 258 exam centres (10 international venues) in 8 sittings. Candidates can select slots as per their choice. 3,000 new training centres will be set up from August 2018 (Only Saturdays and Sundays). Applicants can access the Practice Test Module from August 2018. Unlike previous trends, the class XII roll number will not be verified from 2019. Aspirants suffering from Diabetes are allowed to take transparent water bottles, sugar tablets and fruits to the exam hall. Class XII marks are not given weightage while determining candidates’ ranks in the MAIN exam. General category students must score 75% marks in class XII, while candidates belonging to reserved categories (SC/ST) need to show 65% marks for getting admission in IITs, IIITs, NITs and CFTIs. Aadhaar card by UIDAI is compulsory to take the test. States like Odisha, Haryana, Madhya Pradesh, Gujarat, Nagaland and Uttarakhand have started giving importance to the JEE Main score and have joined JEE MAIN since 2014. General candidates should have been born on or after October 01, 1994. Those who belong to SC/ST/PWD categories should have been born on or after October 01, 1989. In terms of attempts, the candidates cannot take the particular exam more than thrice. The number of attempts is the same for all the categories. In order to write the JEE MAIN 2019 exam, the applicants must have taken 5 subjects in the qualifying examination, i.e. Class 12th. Anyone who has opted for 4 subjects would not be allowed to apply for the exam. Providing wrong information while filling in the online form would further result in the cancellation of their candidature. Diploma candidates can also apply but only for admission in IITs. Such candidates also have to appear for the JEE Advanced exam. Candidates have to secure 75% (65% for SC/ST) in the 12th exam or be in top 20 percentile of the respective boards. Candidates who have passed the 12th exams in 2017 or 2018 are eligible to apply for the exam. Students, who have appeared in the 12th exam in 2016, did not pass in 2016 but passed in 2017 are not eligible to apply. Or if they have taken the test in 2016 or before, such candidates will not be considered eligible for the MAIN exam. Candidates appearing in the 12th exam in 2019 can apply. Note: There is no minimum mark prescribed to apply for the Joint Entrance Test Main. The reservation percentage for the following categories is mentioned underneath. The JEE Main application form 2019 for the January edition has been available from 01 September 2018. Aadhaar is a must for filling in the online application form. Candidates are required to apply for NTA JEE Mains 2019 exam online. Documents like parents’/guardians’ scanned images of passport size photograph and signature are necessary. The dimensions of photographs and signatures should be 3.5 x 4.5 cm and 3.5 x 1.5 cm respectively. The images should be in JPEG or JPG format. A candidate should not submit multiple applications. Doing so will result in the cancellation of his candidature. How to Fill in Online Application Form? Candidates are required to pay through debit/credit card. They can also pay the fee through e-Challan of ICICI/ Canara/ Syndicate bank. The fee will not be accepted through IPO, money order, DD, etc. Once the application fee is paid, it will not be refunded under any circumstances. Candidates get one more opportunity to modify or correct some of the particulars of the application form after one week of closing date. The last date to submit the online application form for the January editing exam is September 30, 2018; hence, aspirants will be able to rectify their errors in the first week of October 2018. However, they are advised to keep a watch on the official website regularly to know the precise date when the modifications will be permitted. Candidates will be allowed to rectify their errors online. (No change will be accepted through offline mode, i.e. through fax/application including e-mail, etc.). 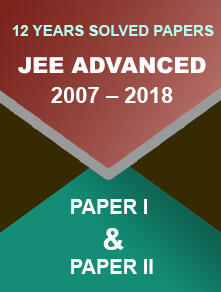 The Joint Entrance Examination (JEE) MAIN 2019 has two papers – Paper I and Paper II. Candidates can appear in Paper I and Paper II separately or together depending on their preference. Paper I (consists of Physics, Chemistry and Mathematics subjects) is conducted for admission to B.Tech/B.E courses. Paper II (contains subjects like mathematics, aptitude and drawing sections) is conducted for admission B.Planning/B.Arch programmes. The exam will have two papers - Paper I and Paper II. The Paper I consists of Physics, Chemistry and Mathematics subjects. The Paper II contains subjects like mathematics, aptitude and drawing sections. Physics: Thermodynamics, Physics and measurement, Laws of motion, Rotational motion, Oscillations and waves, Electronic devices, Electromagnetic induction and alternating currents, Optics, Electrostatics, Current electricity, energy and power, Work, Kinematics, Properties of solids and liquids, Kinetic theory of gases Gravitation etc. Organic Chemistry: Chemistry in everyday life, some basic principles of organic chemistry, organic compounds containing nitrogen, organic compounds containing halogens, purification and characterisation of organic compounds etc. Inorganic Chemistry: Block elements (alkali and alkaline earth metals), classification of elements and periodicity in properties, Hydrogen, Block elements group 13 to group 18 elements, Environmental chemistry, D – and f – block elements etc. Physical chemistry: Atomic structure, some basic concepts in chemistry, equilibrium, chemical thermodynamics, chemical bonding and molecular structure, states of matter, chemical kinetics etc. Mathematics: Integral calculus, Sequences and series, Mathematical induction, Matrices and determinants, Sets, relations and functions, Permutations and combinations, Mathematical reasoning, Complex numbers and quadratic equations, Trigonometry, Statistics and probability, Vector algebra Binomial theorem and its simple applications etc. Part I: Visualizing, Analytical Reasoning Mental Ability, Visualizing three-dimensional objects from two-dimensional drawings, awareness of places, persons, materials and buildings etc. Part II: Creating two dimensional and three-dimensional compositions using given shapes and forms, the transformation of forms both 2 D and 3 D union, subtraction, understanding and appreciation of scale and proportion of objects, building forms and elements, colour texture, harmony and contrast etc. To perform better in the exam, it is always advised that candidates should try out the mock test to get well-acquainted with the exam style. The JEE Main mock test can be accessed from the JEE Main website from August 2018. Improve your time management skills, understand the pattern and analyse your performance. The JEE MAIN admit card 2019 can be downloaded from the official web portal of JEE MAIN in December 2018 for the January edition. Admit card will be available only in the online mode. To download the same, aspirants are advised to use their application number, DOB and security code. Provide these details and click on ‘’Submit’. Take a printout of the same for future reference. Check your JEE MAIN 2019 hall ticket to ensure the admit card is error free. In case of discrepancy, report it to the concerned department (JEE-MAIN Secretariat) ASAP. Carry the admit card along with one photo ID proof (DL, School or College ID Card, Passport, etc.) to the exam hall on the day of exam commencement. Note: The Admit Card will contain details like Exam Date & Time, Venue, Candidates’ Personal Details, Roll Number, etc. Students who will be taking the test in the month of April can access the JEE MAIN call letter 2019 in March. The downloading procedure for both the editions is similar. 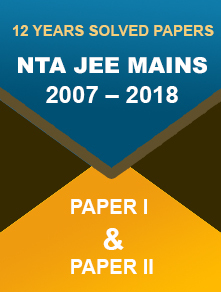 NTA will probably release the JEE Main 2019 answer key in the fourth week of January 2019 (after the completion of the test). It will be released on the official website. Candidates are advised to go through the OMR sheets available along with the answer key and raise an objection if they are dissatisfied. The fee can be paid through credit card and debit card. Enter credentials like application number and password. Download the same and save. NTA may declare the JEE MAIN result 2019 in the 1st week of February for the test conducted in January. The result will also contain the JEE Main 2019 scorecard. Candidates appearing in the April exam can check their results in the 1st week of May 2019. The rank list will be released in the 1st week of May. Candidates will be allotted ranks based on the marks scored. The Agency will give preference to the scorecard that has the better score. In case, two or more students scored equal marks, tie-breaking criteria will be taken into consideration. JEE Main counselling 2019 will begin in the 2nd week of June 2019 (tentative). It will be carried out by JoSAA (Joint Seat Allocation Authority). Candidates need to register themselves to appear in the counselling. They need to provide their college and programme preferences. Provisional seat allotment will be released based on the choice filled by the candidates, their rank, merit, eligibility, category and availability of seats. Download the provisional seat allocation letter and make the seat acceptance fee payment. Candidates will then be notified to appear at the allotted college once the seat is confirmed. Q: When will the NTA JEE Main application form 2019 for the January edition be available? A: Interested candidates can fill the online application form from 1st to 30th September 2018. They need to visit the official website of the National Testing Agency. Q: I want to appear for the April edition exam. When should I fill in the application form? A: You will be able to access the online application form for the April edition in the second week of February 2019. Q: If the candidates commit mistakes while filling in their application forms, is there any provision for correction? A: Yes, there is a certain date for the correction. Q: Is Aadhaar card mandatory for JEE Main 2019? A: Yes, it is. Without it, applicants can’t take the test. Q: How can candidates pay their exam fee? A: They can pay the fee by debit or credit card. Apart from this, they can also pay their fee through e-Challan of some banks— ICICI, Syndicate and Canara. Q: What is the qualification required for taking the JEE Main exam? A: 12th pass with Physics, Chemistry and Mathematics. Q: Is there any minimum percentage of marks for candidates taking this exam? Q: If an aspirant is taking his 2019 board exams, will he be considered eligible for the exam? A: Yes, he can take the test. He should be in a position to submit the proof of passed result at the time of taking admission to the engineering institute. Q: What are the age limits for general and SC/ST/PWD candidates taking this exam? A: General candidates must have been born on or after 1st October 1994, and SC/ST/PWD candidates should have been born on or after 1st October 1989.